Debate continues in scientific and ethical circles over whether the gene-editing tool CRISPR is ready to safely be used to edit embryos for implantation, in reaction to unverified claims made Sunday of a successful birth of gene-edited twins and a possible second edited pregnancy. What's new: The lead scientist of the controversial claim, He Jiankui, presented some of his data at an international conference in Hong Kong. “First, I must apologize that this result was leaked unexpectedly," He said. But, voicing what appears to be the general scientific consensus was David Baltimore, chair of the organizing committee, who says the research has not met what's been considered the basic criteria for this type of experiment to start. "That has not happened, and it would still be considered irresponsible." Context: Although the science behind gene editing has blossomed over the past decade, particularly with the invention about 6 years ago of the more precise CRISPR tool, most researchers say the technology is nowhere near ready to use on human embryos, and doing so could have repercussions not only on the child but on generations afterwards. 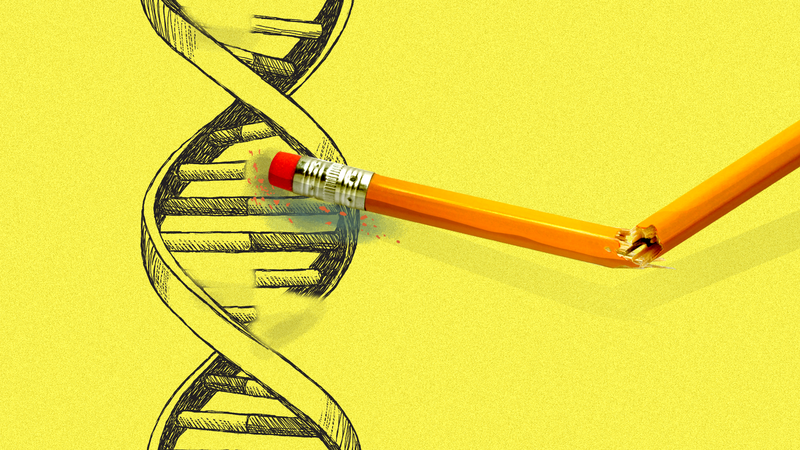 There are serious concerns about using CRISPR to edit genes in adults with inheritable diseases, including off-target editing that can cause cancers and or large deletions and rearrangement of DNA. Worries are even greater over editing embryos, since this adds multilayered unknowns of altering the basic germline DNA that are passed down to future generations, Eric Topol, founder and director of Scripps Research Translational Institute, tells Axios. And, besides off-target editing or large deletions, another issue to worry about is mosaicism, where there could be a mix of edited and unedited genes that allow the targeted disease or health problem to continue. Driving the news: International outrage has grown over the past couple of days since the Chinese team led by He told AP that they used CRISPR-Cas9 to edit CCR5, a gene known to play a role in allowing HIV to infect cells, in the embryos of 7 couples where the fathers were HIV-positive during fertility treatments. "This is terribly unfortunate since we're nowhere near ready for that." In the wake of the as-yet unverified claims — although He says it has been submitted to a scientific journal for peer review — some scientists, including the co-inventors of CRISPR, are calling for a moratorium on implanting gene-edited embryos until further research can be conducted to determine its safety and efficacy. During IVF fertilization procedures, just after they fertilized the embryos with the sperm, the team edited each single-cell embryo's CCR5 gene with CRISPR-Cas9 and "removed the doorway through which HIV enters to infect people." They developed the embryos for a few days outside the womb and checked the development of the embryo with whole genome sequencing. He said they found one embryo had a potential off-target (but the location was far from relevant genes) and one mosaic embryo, where only one of the two DNA strands was altered. Despite those issues, the parents decided to implant the two embryos, after giving informed consent according to He. They implanted the 2 embryos, watched the pregnancy closely with ultrasound and blood tests, and said the pregnancy progressed normally. The couple gave birth to "healthy" twin girls a couple weeks ago, per He, who added that there may be a second pregnancy in early stages from one of the other couples. According to He, the purpose of the editing is to prevent the children from becoming infected with HIV in the future, not in the womb where the risk is already minimal. Why target this gene when there are other conditions that have no alternate protections like that available against HIV. Topol says selecting the CCR5 as the gene to edit is "ludicrous." How the informed consent process was conducted and how the results could be verified if the patients remain anonymous. What will the lives of the two children be like. How it was funded and if his two companies had any part of this (He says no). Why there was such a lack of transparency in developing and conducting the trial. "It hasn't been a transparent process, and we only found out about it after the children were born. ... There's been a failure of self-regulation by the scientific community." The other side: He, for his part, says he views gene editing as "another IVF advancement" and should be used for a small, select group of parents who are not looking for so-called "designer babies" but rather to prevent what could be a painful lifetime of disease for the child. "A gene surgery that could save a child from a lethal genetic disease like cystic fibrosis or from a life-threatening infection like HIV, doesn't just give that little boy or girl an equal chance at a healthy life. We heal a whole family."